It’s no secret but photography is one of my favorite art forms. When I was young I loved looking at old photos of my mother and father growing up in Puerto Rico or my brother and me as toddlers living in Germany which I have zero memory of. My mother and I would spend hours talking about where each photo was taken and what was going on in that period of our lives. Photos capture a moment that can be shared and relived over an infinite amount of time which no other art form has the ability to do. Surf photography is like that too in its ability to capture that “epic swell” or that moment of pure stoke from an outside perspective. 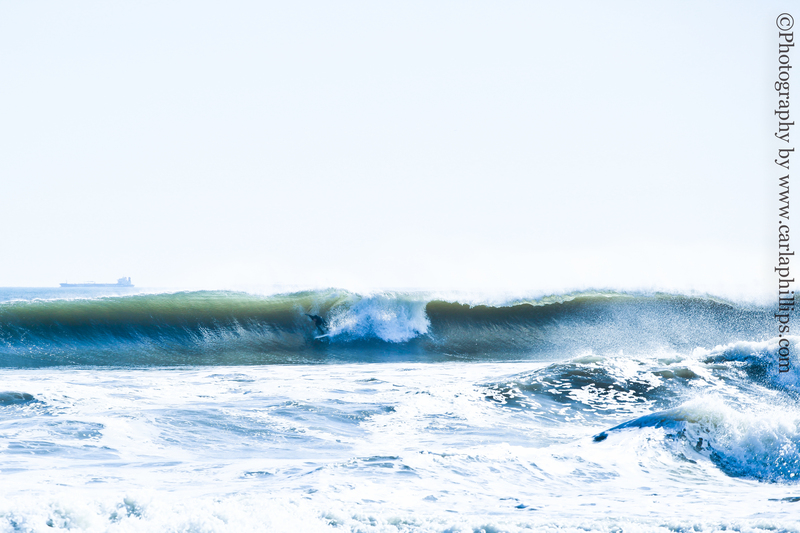 Images like this are not easily captured so we talked with our friend Carla Phillips, who has been photographing surfers at Long Beach, NY for over nine years, to find out what drew her to this art form and what inspires her images. Tell us how you got into surfing? Well I have to admit it’s pretty corny but watching Blue Crush inspired me. I have always been a water person. I went on a solo trip to Brasil and ended up going to a surfing village in Bahia called Itacare where I hired a woman surfer to teach me and loved it. I had a Nikon Film camera at age 15. I always loved taking photos. I worked in the fashion industry for over 10 years as a publicist and fashion stylist. I did not love the industry and decided to pursue what I always loved: photography and art. I studied at the International Center of Photography, then was an assistant photographer working in still and film production part time until I built my portfolio. Now this is all I do. Does being a surfer influence your style? Not really except when I shoot someone surfing I think of a flowing motion or a dancer. Surfing has taught me patience. Describe your photographic style. What story do you try to capture in your imagery? My photographic style is documentary and portraiture. I try to capture the natural beauty, emotion, and action of the subject. What are some of your favorite images you captured and why? There are so many. These photos I took in Long Beach before Sandy and the recent swell we had. I thought I would describe the ones that are my favorites in a few words. The motion, beauty, style and composition especially of the waves. You can see the power and strength of the ocean. Catching a good shot in surf photography is definitely about timing and being in the right spot, pretty much like surfing. This shot I love because you can view also the surfer paddling out while looking at the same view as I did. 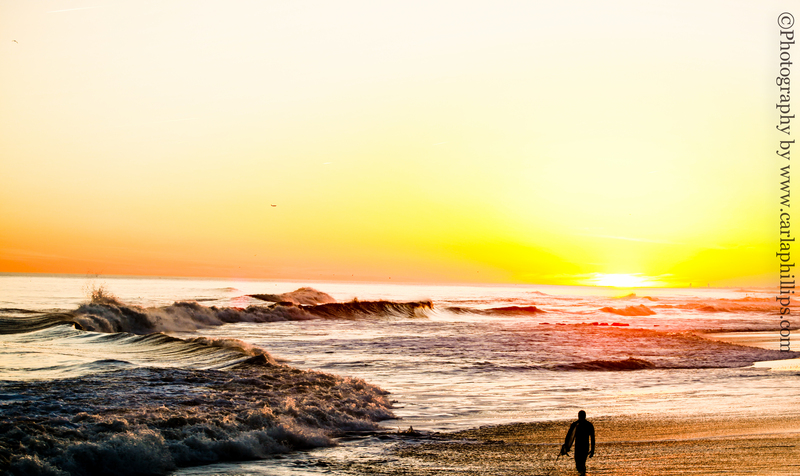 The sunset is just amazing to capture with the landscape of the waves and surfer. The East Coast has waves that change drastically so when shooting you need the right shutter speed, otherwise the shot is gone and every wave is different. The other shot, the guy riding the tube, I was just at the right spot at the right time. I was looking for a shot with a nice hollow tube ride. This guy had a great long tube ride and made it out. It took me a long time to capture a ride like this because most surfers did not make it through. Thank you Carla for taking the time to speak with us. If you would like to know more about Carla’s work please visit her site.